Today I am bringing you a little blog with flowers from around this time last year. We like to think of our couples having a lovely first wedding anniversary and love reminiscing over what a joy it was to be part of their day. Rebecca and James got married at St James Church, Shardlow with the reception being held at Masa Restaurant in Derby. The couple wanted a no fuss, very informal and intimate wedding and that's what they had. Lovely. Rebecca wanted a very rustic, cascading style bouquet (which is a bit of a speciality of T's) and I do love the shape of these as it's something a little different. 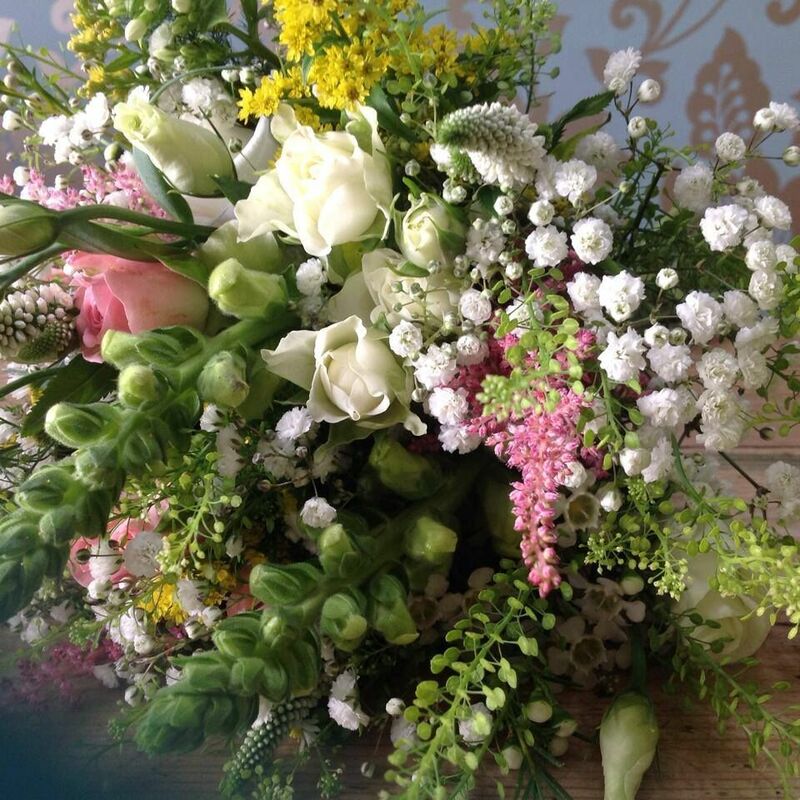 The flowers we chose were phlox, veronica, stocks, white astilbe, astrantia, green bell, gypsophila, pink lisianthus, cream lisianthus, lemon snapdragons and larkspur. The couple went for a rounder design for the bridesmaids and a mixture of sprig and focal style buttonholes for the ladies and gents. Here are the pictures so have a good look, and let us know what you think in the comments below its always great to hear your thoughts. Louise and Peter got married a couple of weeks ago at Peak Edge Hotel. 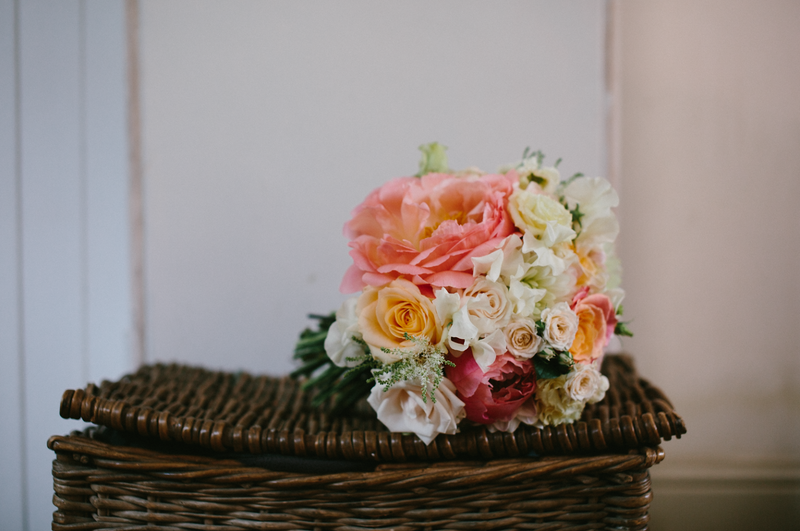 As of yet we have no professional photographs but thanks to advice from our friend 'The Brabbin' (Sarah Wedding Photographer) T is ace at setting her camera up and has taken some pretty great shots of the flowers. Louise and Peter wanted a very relaxed feel to their day and opted for an intimate wedding with just 25 guests attending the ceremony. For her bouquet Louise wanted a round hand tied with some softness and a 'just picked' feel. 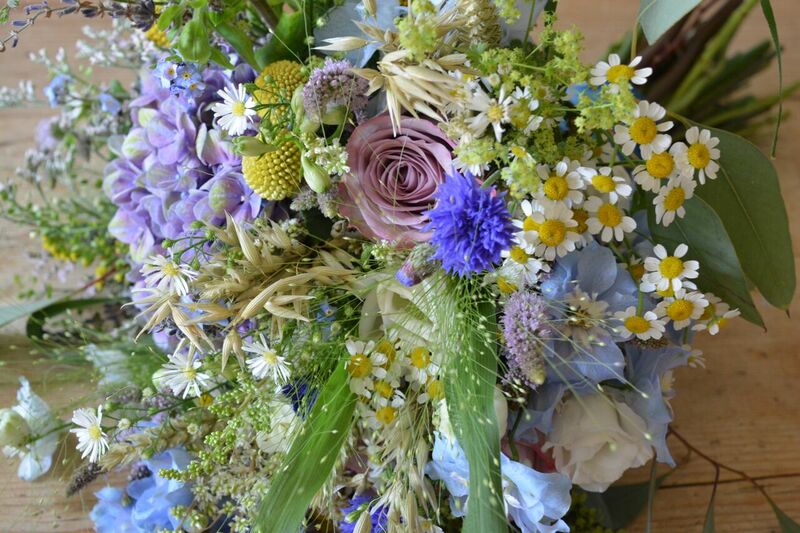 For the design T and Mel used roses, eucalyptus, tanacetum, lavander, white astilbe, white double delphiniums, powder blue delphiniums, craspedia, wheat, oats, barley, grasses and the most beautiful lilacy hydrangea. We also had the absolute pleasure of designing some hair slides for Louise and and wiring and taping some beautiful blooms for the bridesmaids too. For buttonholes Louise and Peter went for a focal style for the guys and a sprig style for the ladies. Anyway that's enough from me, check out the piccies! So we had that wonderful moment where we get in touch with a photographer to ask for a couple of shots from a wedding, and they came back with not just a couple the but masses absolutely stunning photos. 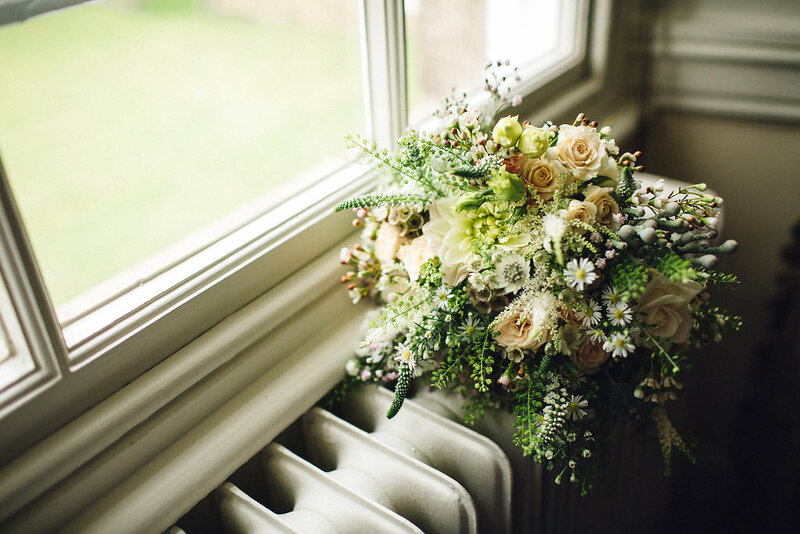 Sam and Adam got married in June this year, with a ceremony at St Johns Church in Ranmoor with the reception being held at Firth Court, which is proving to be quite a popular choice of venue for our brides this year. 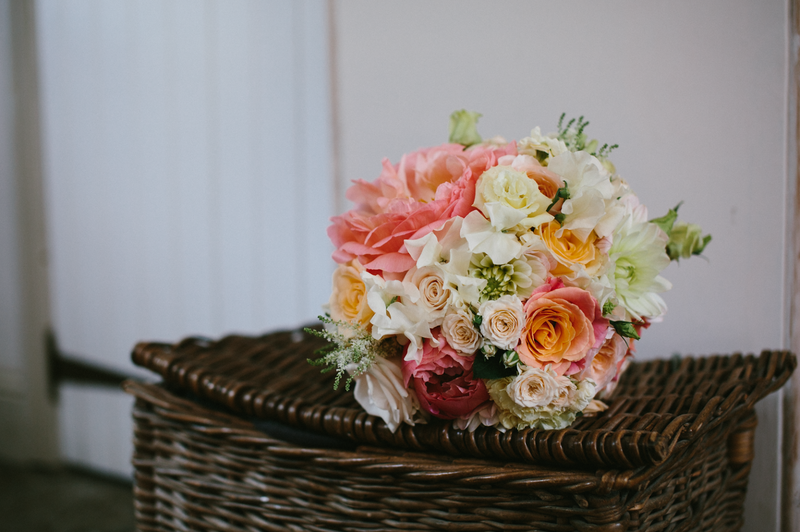 Sam wanted a romantic, elegant and classic bouquet with big blousy blooms so the obvious first choice was coral peonies along with 'Miss Piggy' roses, cream lisianthus, 'Jana' spray roses, stocks, white gypsophila, 'Peach Avalanche' roses and David Austin 'Juliet' roses too. We also got the pleasure of making a gypsophila crown for super super cute Amelia the flower girl. 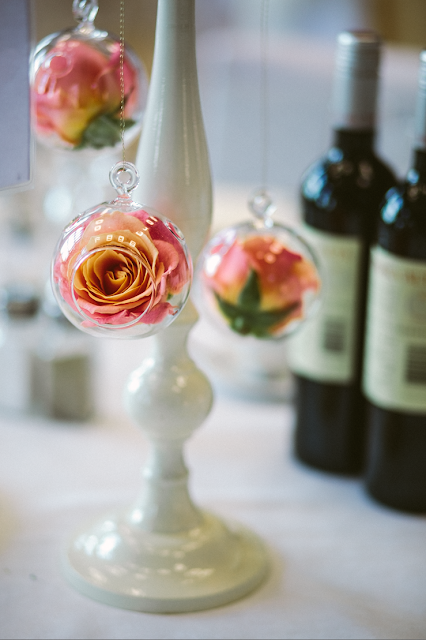 I personally love it when a bride asks us to use the glass baubles for their venue decorations. T and Mel always do such a great job of making them look so stylish and elegant. The team decided on a 'Miss Piggy' rose in each along with the topiary design gypsophila balls which looked breath taking. A massive thanks to Ruth Atkinson for the photographs, as always she captured the day and atmosphere beautifully. Today we are bringing you another gorgeous summer wedding that happened not so long ago, June this year in fact. Lucy and Chris were married at Woodthorpe Hall with the ceremony being held outdoors, this seems to be a trend that we are seeing more and more of in our Summer weddings. 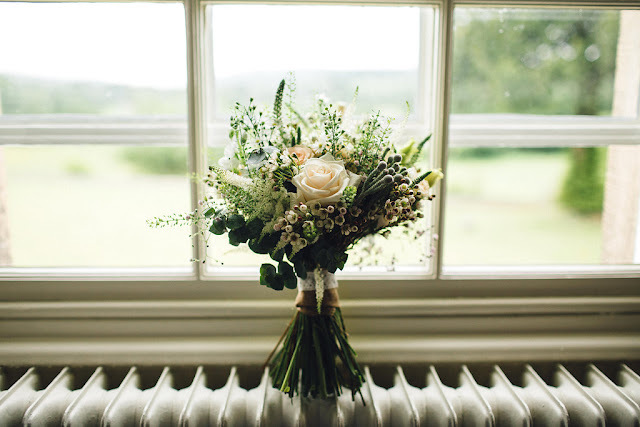 Lucy and Chris wanted a very chilled and informal feel to the day which reflected in their wild, meadowy, 'just picked' floral designs. We even got to set up the heart frame which you will see in the pictures looked just charming during the ceremony. The Shepard's crooks, provided by Lucy, were such a nice touch too. The flowers used throughout all the designs were white wax flower, green bell, eucalyptus, 'Jana' spray roses, 'Creme Garcia' spray roses, stocks, white aster, cream astilbe, veronica, green and apricot lisianthus and gypsophila. Huge thanks to Red on Blonde who not only featured us on their blog (click the link to have a read) but for sharing with us these divine photographs with us, big shout out to you guys! We love it so much when photographers are generous with not only their valuable time, but also their beautiful work. 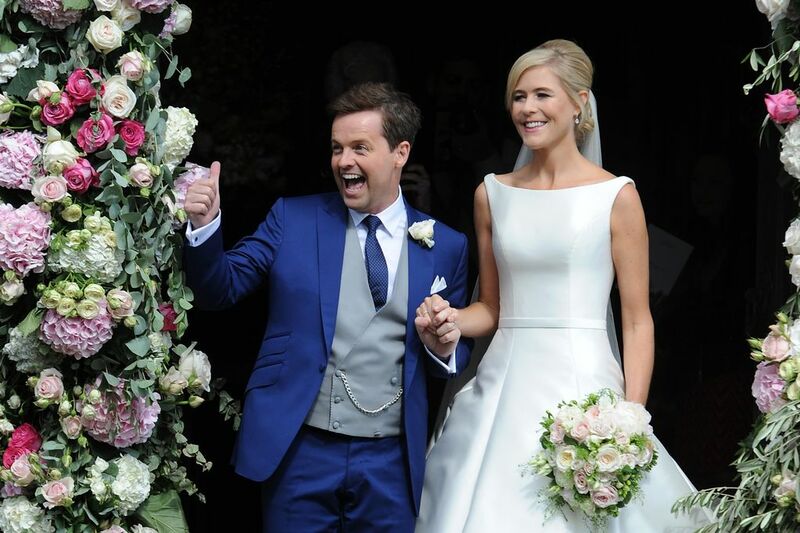 Declan & Ali and Guy &Jacqui - We do love a good celebrity wedding! So here at Campbell's HQ we (by we I mean mainly me) adore a good celebrity love story and there was not one but two celebrity weddings recently. That of Declan Donnelly to Ali Astall and Guy Ritchie to Jacqui Ainsley. Now where my eye used to be drawn to who was wearing what and which celebrities attended, working for a florist I now check out the flowers! We love to keep up with current trends so I was really excited to see floral arches aches and large flowers crowns in both weddings, something we 're proud to have designed for our lovely trend setting couples! Below I have featured a couple of shot from Declan and Ali's wedding with their very impressive floral archway (drool!!) 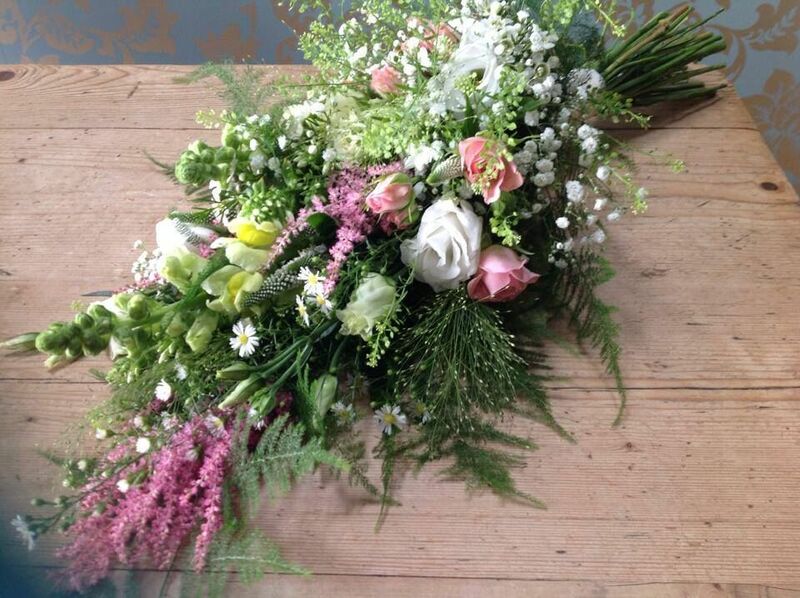 and Ali's beautiful, neutral coloured rose bouquet with contrasting green foliage. So this week we were contacted by the lovely guys at Your Yorkshire Wedding to let us know that we appeared in the 2015 edition of their magazine. Not once but twice we will have you know. 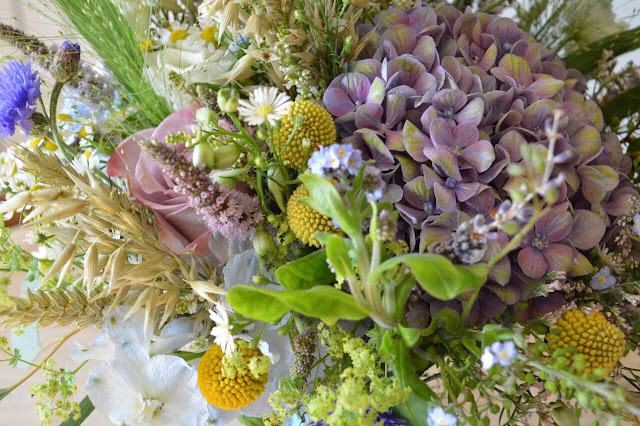 Not only were we pretty chuffed to be featured in the first place but it was for our British grown seasonal bouquets too - which as you all know is a subject pretty close to our hearts. There was also a picture of Queen Campbell's herself picking up our award for best florist in our region at the Wedding Industry Awards 2015! Proud as punch.